Founded by industry legends, the high-end spirits brand is now spearheaded by their daughters. In 2008, three long-time veterans of the Scotch industry came together with a not so simple mission: To find and bottle the world’s finest and hardest to find spirits. Thus, The Last Drop Distillers Limited was born. Eight years later, though, it’s two of the founders’ daughters that now leading the brand. 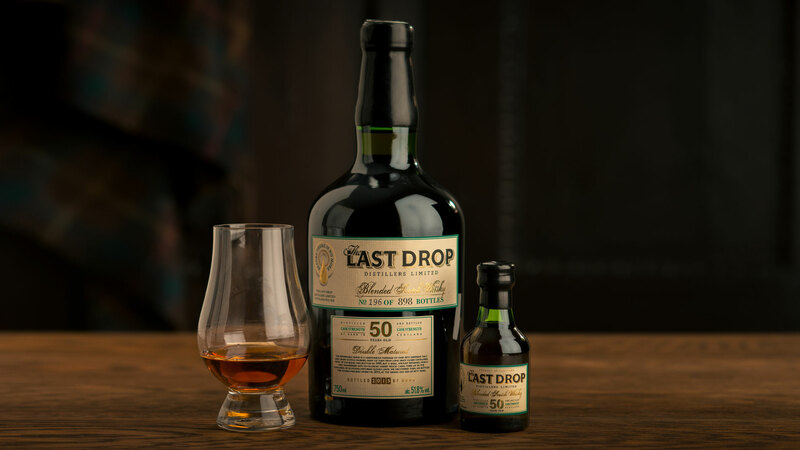 Rebecca Jago, daughter of founder Tom Jago, and Beanie Espey, daughter of founder James Espey OBE, are steering The Last Drop as they continue to add new products to their existing portfolio of nine of the world’s rarest spirits. While their daughters come from different backgrounds—Rebecca an accomplished designer and Beanie working in luxury marketing for such brands as L’Oreal and Chanel—the two are just as passionate about Scotch as their fathers before them who worked on such iconic brands as Chivas and Johnnie Walker. “I grew up immersed in the drinks business and remember my father’s passion and excitement for both new developments and classic brands from a very early age,” says Rebecca. After first meeting in 2014, Rebecca and Beanie committed to helping their fathers grow The Last Drop and joined the team: Beanie as Sales and Marketing Director and Rebecca as Creative Director, echoing the very roles their fathers had played. The two daughters now work closely together running the day-to-day operations of the business, as well as helping their fathers hunt for the next spirit to add to The Last Drop’s portfolio, which is now expanding beyond Scotch to possibly include port and rum amongst others. While The Last Drop’s products are found on the same shelves as other rare, highly valued single malt Scotches, blends and cognacs, the company functions very differently than most other spirit brands. Specifically, The Last Drop doesn’t produce any of the spirits they sell themselves and instead they buy casks directly from distilleries and then decide when to bottle and release the spirits. As such, there is a very limited quantity of each of their spirits. Since founding the Last Drop in 2008, the company has only released nine different products and only one of them has included more than 1,000 bottles with most numbering fewer than 500. Amongst the nine spirits are four blended Scotches, two cognacs, two single malt Scotches and two single grain Scotches. Additionally, as the name implies, The Last Drop only sells the very last amount of a given whisky, which is why most of their spirits are aged upwards of 40 to 50 years total before going to market. Rebecca and Beanie bring a newfound energy and enthusiasm to The Last Drop, one that will continue to honor the brand that their fathers created. While the new leadership has plans of their own, Rebecca and Beanie’s philosophy is strongly rooted in their fathers’ focus on excellence, which is one aspect of The Last Drop that will never change. “We’d like to honor the legacy our fathers have passed onto us," says Rebecca. "We have ambitions for growth, but not at the expense of quality."